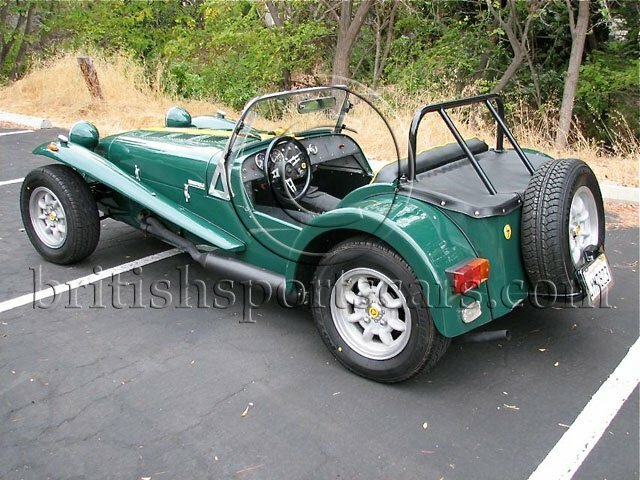 You are looking at a very rare Caterham Super 7. This is one of the desirable early Caterham's fitted with a Lotus twin-cam engine. This car has also been updated with a 5-speed transmission. This is one of my favorite cars and it%u2019s an absolute blast to drive. It accelerates very quickly and corners like nothing else you have ever driven. This is a true race car for the street! This particular vehicle is one that British Sports Cars has known for many years and is in great condition. The car shows no signs of any previous accident damage. The paint and body are very nice but do show a few scratches near the bonnet latches: a common result of removing and installing the bonnet. The car does everything it should and needs nothing. If I had room in my garage, this would be a keeper! The vehicle is currently located out-of-state. Please contact us with any questions you may have.